The Rottweiler is a medium to large size breed of domestic dog that originated in Rottweil, Germany. The dogs were known as "Rottweil butchers' dogs" (German: Rottweiler Metzgerhund) because they were used to herd livestock and pull carts laden with butchered meat and other products to market. Some records indicate that earlier Rottweiler’s may have also been used for hunting, although the modern Rottweiler has a relatively low hunting instinct. The Rottweiler was employed in its traditional roles until the mid-19th century when railways replaced droving for getting livestock to market. While still used in herding, Rottweiler’s are now also used in search and rescue, as guide dogs for the blind, as guard or police dogs, and in other roles. The breed's history dates to the Roman Empire. In those times, the Roman legion travelled with their meat on the hoof and required the assistance of working dogs to herd the cattle. One route the army travelled was through Württemberg and on to the small market town of Rottweil. The principal ancestors of the first Rottweiler’s during this time are believed to be the Roman droving dog, local dogs the army met on its travels. This region was eventually to become an important cattle area, and the descendants of the Roman cattle dogs proved their worth in both driving and protecting the cattle from robbers and wild animals. Rottweiler’s were said to have been used by travelling butchers at markets during the Middle Ages to guard money pouches tied around their necks. However, as railroads became the primary method for moving stock to market, the breed had declined so much that by 1900 there was only one female to be found in the town of Rottweil. The build up to World War I saw a great demand for police dogs, and that led to a revival of interest in the Rottweiler. During the First and Second World Wars, Rottweiler’s were put into service in various roles, including as messenger, ambulance, draught, and guard dogs. Deutscher Rottweiler-Klub (DRK, German Rottweiler Club), the first Rottweiler club in Germany, was founded on 13 January 1914, and followed by the creation of the Süddeutscher Rottweiler-Klub (SDRK, South German Rottweiler Club) on 27 April 1915 and eventually became the IRK (International Rottweiler Club). The DRK counted around 500 Rottweiler’s, and the SDRK 3000 Rottweiler’s. The goals of the two clubs were different. 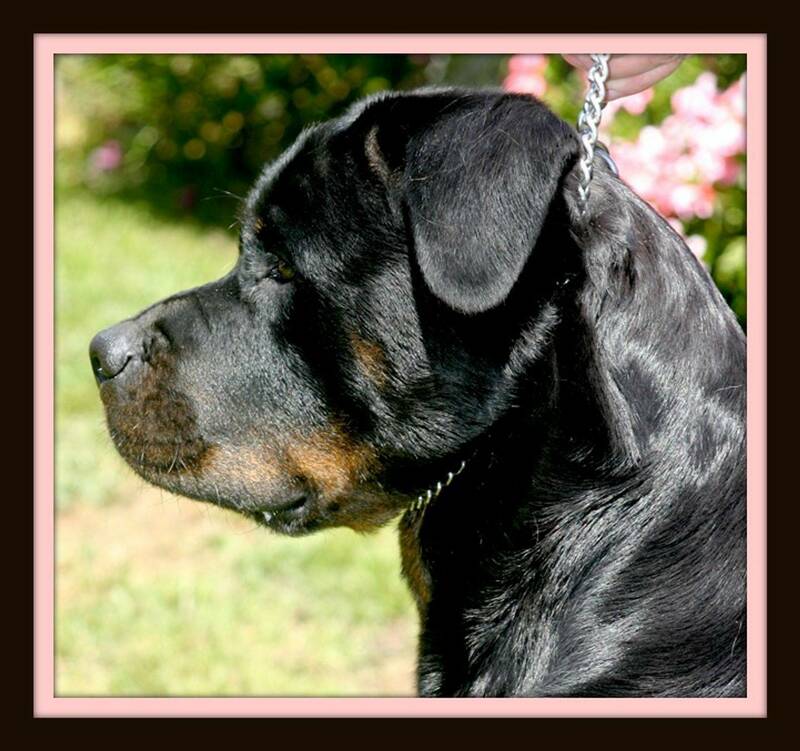 The DRK aimed to produce working dogs and did not emphasize the morphology of the Rottweiler. The various German Rottweiler Clubs amalgamated to form the Allgemeiner Deutscher Rottweiler Klub (ADRK, General German Rottweiler Club) in 1921. This was officially recorded in the register of clubs and associations at the district court of Stuttgart on 27 January 1924. The ADRK is recognized worldwide as the home club of the Rottweiler. In 1931 the Rottweiler was officially recognized by the American Kennel Club. In 1936, Rottweiler’s were exhibited in Britain at Crufts. In 1966, a separate register was opened for the breed. In fact, in the mid 1990s, the popularity of the Rottweiler reached an all time high with it being the most registered dog by the American Kennel Club.